ARRESTS of children in Merseyside have plummeted, new figures have revealed. In the last four years, the number of children arrested by Merseyside Police has fallen by 48 per cent data obtained by the Howard League for Penal Reform has revealed. 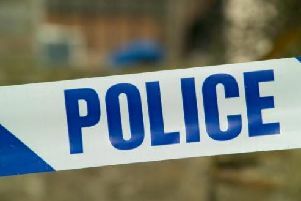 Research by the charity has found that the number of arrests in Merseyside dropped from 10,197 in 2010 to 5,295 in 2014. It claims the figures confirm the continued success of a long-running Howard League programme of work to keep as many children as possible out of the criminal justice system. Every police service in England and Wales made fewer arrests in 2014 than in 2010, with some constabularies reducing their numbers by more than 70 per cent. That number has fallen every year since 2010 when 245,763 children aged 17 and under were arrested. In 2014, there were 112,037 arrests, of which boys accounted for 83 per cent and girls accounted for 17 per cent. The sharp reduction in arrests has led to a significant fall in the number of children in prison – down by 56 per cent since January 2010. Frances Crook, Chief Executive of the Howard League for Penal Reform, said:“The Howard League has worked closely with police forces round the country to stem the flow of children being sucked into the criminal justice system. “The fantastic success of our programme of work and the police improvement to their practices means that thousands of children have not had their life chances blighted. “It is for parents and schools to deal with normal childish challenging behaviour, not the police.